Visiting the Western Cape would be incomplete without a few key items on your South African travel itinerary. These include Table Mountain, the Cape Winelands, the V&A Waterfront, and the many exquisite nature reserves, game reserves, and national parks in this province. Cape Town and the area around it are known for their spectacular natural beauty and the tangible vibe. Mountains tumble to the shore, forests coat the rolling landscapes, and the city centre is a bustling hive of fun and adventure. Visiting the sanctuaries, reserves and parks of the region is an absolute must for tourists that want to savour the essence of this country. The Table Mountain National Park extends from Signal Hill in the Cape Town CBD to Cape Point, which is about 24 kilometres from Simon's Town. It includes Table Mountain and the Cape of Good Hope, and is home to an impressive variety of birds, endemic fynbos, and the African penguin. The West Coast National Park is an hour from Cape Town and 40 minutes from Paternoster. Breath-taking beachscapes are complemented by a massive turquoise lagoon, while the bush is inhabited by caracal, eland, hartebeest, wild cat, bat-eared fox, southern right whale, and humpback whale. 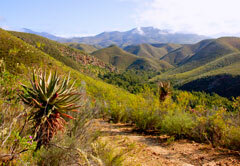 The Western Cape is also home to the Karoo National Park, Agulhas National Park, and Bontebok National Park. Although visitors can explore the parks in their own vehicles, a guided safari or tour is often recommended. These allow you to sit back and enjoy the surrounds, while the guide or ranger shares fascinating information about the fauna and flora. 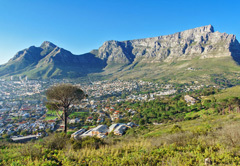 For the added convenience of visitors to the Western Cape, Cape Town is equipped with a bustling international airport. Click on the game reserve, national park or nature reserve you wish to visit on the Western Cape map or select from the full list below, to view additional information about the reserves and for listings of all lodges listed in the relevant area. 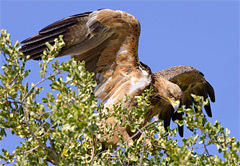 South Africa boasts a huge collection of wildlife regions, encompassing every possible landscape from deserts to forests, mountains to coast, teeming with wildlife species. 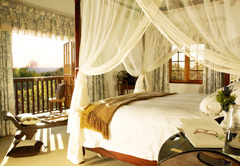 Accommodation ranges from rustic to 5-star luxury; from self catering bush camps to fully catered lodges. Visitors from all around the world descend on South Africa to take advantage of the stunning climate, accommodation, game reserves, natural attractions, and, of course, the huge variety of wildlife. 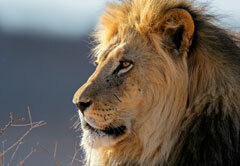 In particular, the "Big 5" is a drawcard which lures tourists to renowned conservation areas.